1. Preheat oven to 350 degrees for chicken breasts. Marinate chicken breasts with soy sauce, terryaki, and season to taste. When ready place chicken on cooking sheet coated w/cooking oil. 2. In a small bowl, whisk together soy sauce, sugar, sesame oil, ginger, and siracha; set aside. 3. In a large pot, cook lo mein noodles according to package instructions, drain well. 5. Stir lo mein noodles and premade sauce into the pan and toss well. 6. 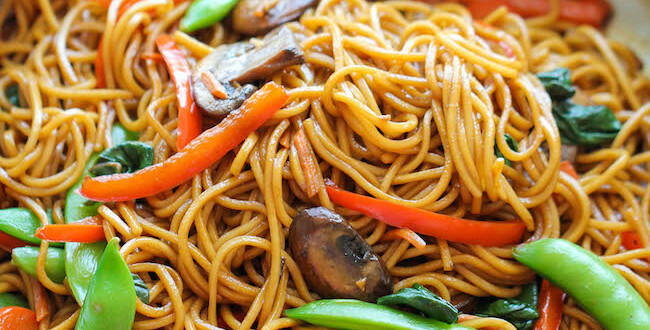 Serve chicken breasts over lo mein and enjoy!